In the two decades pollsters have been asking whether Americans agreed with that statement, the highest ever result came this year: 58 percent agreed. During Public Service Recognition Week, I highlight this poll result to remind federal employees that despite the storm clouds overhead, never forget that your work is essential to the endurance of our democracy. From the ranger at the National Park Service to the inspector at the Food and Drug Administration to the customer service representative at the Internal Revenue Service, front-line federal workers are the epitome of public service. They are motivated simply by the desire to improve the lives of their fellow Americans. Later this year, we will celebrate the 40th anniversary of the Civil Service Reform Act, which ensures that federal employment remains a distinguished and honorable occupation. Working for the U.S. government is about professionalism, not patronage. It’s about expertise, not personal enrichment. As long as those things hold true, the U.S. civil service system will remain the finest in the world. There are other signs that Americans are rallying around civil servants. Public school teachers all across the country are taking to the streets for better pay, and young people are commanding social media and pulling the levers of our representative democracy for the change they want to see. Federal agencies have a golden opportunity to tap into this groundswell of activism by becoming an attractive career option for service-minded youth. A fair wage and work-life balance are a start, but more importantly they want a job that allows them to use their skills for the greater good: securing the country, protecting the public health and environment, and safeguarding the American economy for all. The Civil Service Reform Act’s insistence that their work be judged on its merits and free from political and unfair interference is an important cornerstone. Federal employees are as diverse as the country they serve. They are stone masons, historians, rocket scientists, oncologists, landscapers, accountants, writers, nuclear physicists, park rangers, toxicologists, engineers, lawyers, nutritionists, and on and on. They live in every state and every community and are from every political and cultural stripe you can imagine. The one common thread in our federal workforce is their desire to serve. Their paychecks would surely be larger in the private sector, but they chose civil service and the least our elected officials can do is make sure they have the independence and resources to do it well. 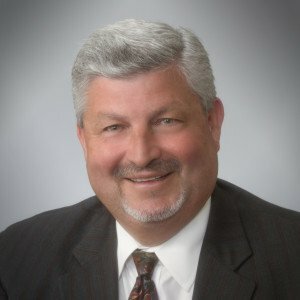 Tony Reardon is the National President of the National Treasury Employees Union, which represents 150,000 federal employees in 32 agencies and departments.